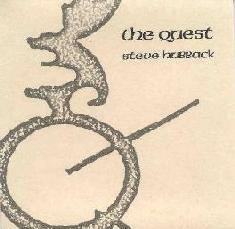 Steve Hubback - "The Quest" / Steve Hubback - "Best Kept Secret"
The Quest forsakes rhythmic experiments in exchange for syncopation and chilly steel harp melodies, though in the manner of the preceeding disk creates a subconscious sonic environment, created by a minimalist (though melodic line) courtesy of a hammer harp and steel harp sculpture. Two standouts: Over The Treetops, a gentle two-part harp tune, flowing softly out the Nordic vista, and As The Snow Falls, consisting of a complex interplay between harps, set off by gongs and intervals of silence. Hypnotic stuff. 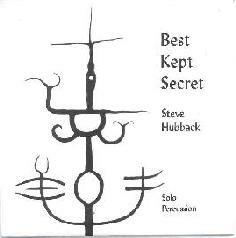 Though not as well realized as some of Steve's later disks, Best Kept Secret and The Quest serve as good introductions to his enigmatic style. For more information you can visit Steve Hubback's web site at: http://www.dse.nl/hubgong.